I am not sure if I am important enough to share my story. I am also not sure if it would be inspiring for anyone. Nonetheless I had my share of struggles and triumphs, which I think can be shared. I think it can be shared because it goes on the lines of general philosophy of life, that success or failure, nothing is permanent. There are lows in life and it just requires collecting yourself and moving on. Struggles that you face define you and give you character and experience. I was born to a lower middle class family in Delhi. My father used to tie bundles of newspapers at a newspaper company till he lost his job because of automation at his factory. This happened during my MBA days. In spite of being from a humble background, my parents ensured a good education for me. I am a mechanical engineer from Delhi and did jobs at few small companies before deciding to join SIIB for postgraduate studies. I joined 2 year MPIB course. 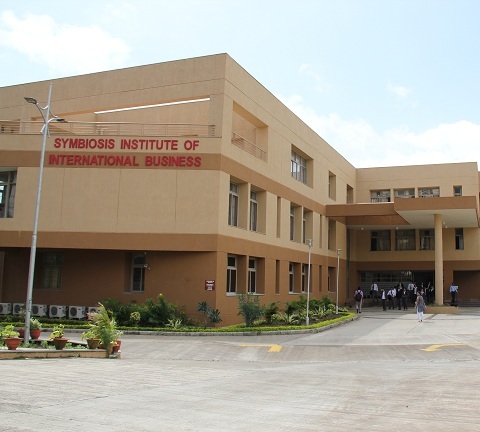 SIIB gave me a new direction altogether and I am glad I chose to do my MBA from this institute. I evolved as a person. I had never stepped outside Delhi before this. When I reached SIIB, it was a melee of people from across the country, who enriched me with their diverse backgrounds. I am still friends with many whom I met at this institute and have no doubt that I will continue to be friends with them all my life. Some people may call it their network, but for me they are my support system. Living in hostel, following a rigorous schedule of study and exercises readied me for corporate stint. I also got to know some of the most enlightening thought leaders of their areas as our professors. I attended some the best lectures of my life at SIIB. SIIB also provided me with summer placements in one of the leading multinational chemical companies. This was a great opportunity to get firsthand experience of corporate as a student and I think I made most of it. Even as a summer trainee I worked on challenging assignments related to Strategy and Finance. I thoroughly enjoyed my assignment here and this fuelled my ambition to become a strategy consultant one day. At that time top management/strategy consulting firms only recruited from top 2-3 B schools in India, so I decided the second best option for myself and that was to become an IT consultant and then switch on to Management consulting someday. When out of SIIB, I was pretty clear about my goals, my strengths and my weaknesses. I also had a strategy to craft my career according to my strengths and interests. During the placement season at SIIB, I was keen to take up a job of a Consultant at an IT company as I was yearning to become one for more than a year now. It was my mechanical engineering background that made IT companies look other way. But it was my Mechanical engineering background only that came to my rescue when I was selected for largest boiler manufacturer of this country as a Management Trainee. I was little disheartened as I could not join an IT company. Also to mention I was one of the lowest paid of all MBAs graduating out of SIIB that year. But deep inside I could feel that this company will offer me more learning opportunities than any IT company, because I could see hundreds of MBAs joining IT companies and this company had selected few to be groomed as their future managers. I joined them. Stint at this company was a rewarding one. After initial days of training, I was selected to be part of their corporate strategy team. I was happy as this was something I always wanted to do. I worked on some of the most challenging assignments crafting business strategies for them in the areas of market growth, new geographies’ foray, product portfolio management, innovation and pricing along with leading global consultancies like Mckinsey and BCG. Interacting with Mckinsey and BCG fuelled my desire to be a Consultant once all over again and this time I wanted to be a Strategy/Management Consultant. My management consultancy break came sooner than I expected and after 11 months of work in the first company, I had an offer from a UK based multinational management consultancy. 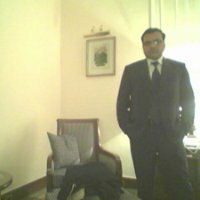 It was a reputed firm and had been in India for more than a decade, this when Indian management consulting market is still evolving. They called themselves implementation experts, Consultants who will not only give advices, but will roll up their sleeves, get to work and implement them, producing a substantial bottom-line impact in matter of few weeks. This was a dream assignment for me and for next 3 years I worked across industries, across functions, across geographies and across corporate hierarchy to implement some of the substantial bottom-line impacting strategy and operations projects with clients who were pioneers in their businesses. I worked in industries like FMCG, shipbuilding, hospitals and steel in countries like Malaysia, Indonesia, Singapore, Australia and off course India. I developed confidence to face C level executives across the world directly and talk to them as equals. After 3 years of my stint there, I joined one of the big 4 consulting firm in their strategy and operations practice. Here I worked with government, PSUs, ministries and mid-sized firms. 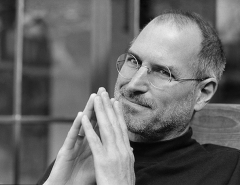 We helped many mid- sized firms in taking their big first billion dollar leap. After a year at this firm I joined another multinational management consulting firm, where I am working currently as well. This is one of the top 10 management consulting firms both in reputation and size. Here again I work with clients across industries with diverse challenges. Typical projects would include turning around a factory in span of 6 months, formulating entry strategy of a multinational into India, rigorous cost cutting for an organization to stay competitive, streamlining processes which may relate to sales and marketing, operations, maintenance, quality management, performance management and other areas for multi- billion dollar business spread across globe, to help an ambitious start up secure a VC or PE funding by preparing business models and market strategies, to help a corporate in making its balance sheet leaner before that big IPO and the list would go on!! Meanwhile during all this, I developed a liking for entrepreneurship and now I am trying my hands at it. I am closely associated with my wife’s venture of establishing a country wide restaurant chain. We currently have 2 operational restaurants and another 2 in pipeline. I am still learning and I don’t think I am at a position to preach. I would just like to share few tips with current students, that I followed in my professional life and found them extremely result oriented. It helps to have a written goal. If this goal echoes in your mind, day and night and doesn’t let you sleep, than there is no need to write it. If you have a clear goal in mind, and what, when and how part of it ready for next 5-10 years, there is a high probability you will achieve it. Magic of this technique is that once you are clear of what you want, you start picking right signals from around your environment. Suddenly an article written in a business daily, that would have seemed ordinary otherwise, becomes so important that you read it 3 times, because it gives you some information regarding your goal. I would also advise youngsters to be conscious of their environment. Easiest way to do this is to read a lot, whether its newspaper, magazines, books or internet articles but never give up on reading. Also MBA is to enrich you not to secure marks. Go for enrichment not marks. Last but not the least; follow a path for the love of it. I am in a profession that attracts best MBAs from premium B Schools in India and abroad. Money has to be good, but never ever have I waited for my salary to be credited in my account. I was equally happy when I was one of the lowest paid in the batch, doing what I wanted to do. I joined this profession and have chosen to stay in it for only one reason and that is love of it. Whatever you do, do it best and love it. Money would follow. It’s a side product. And I say this even when I have faced money shortages for most of my life. Will India adopt Public Transport Day?